Global sales of BMW's first 3-series started in 1975 and by the time they switched body stamping operations to build the E30 version in 1983, over a million examples of the E21 had left the factory. The significance of those production numbers were not lost on BMW, Mercedes-Benz, Lincoln, Pontiac, Cadillac, or anybody else who wanted to sell premium luxury sport sedans in the early 80s. 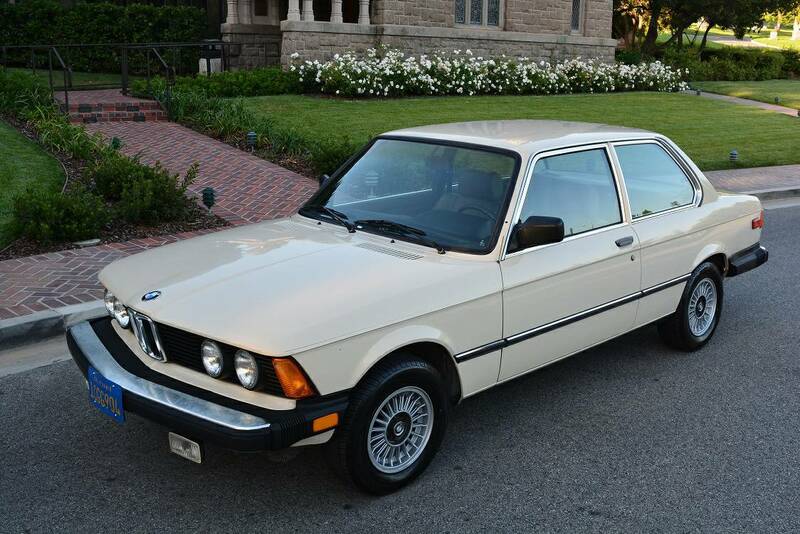 But today, the E21 is a forgotten classic and prices for nice examples aren't that bad. 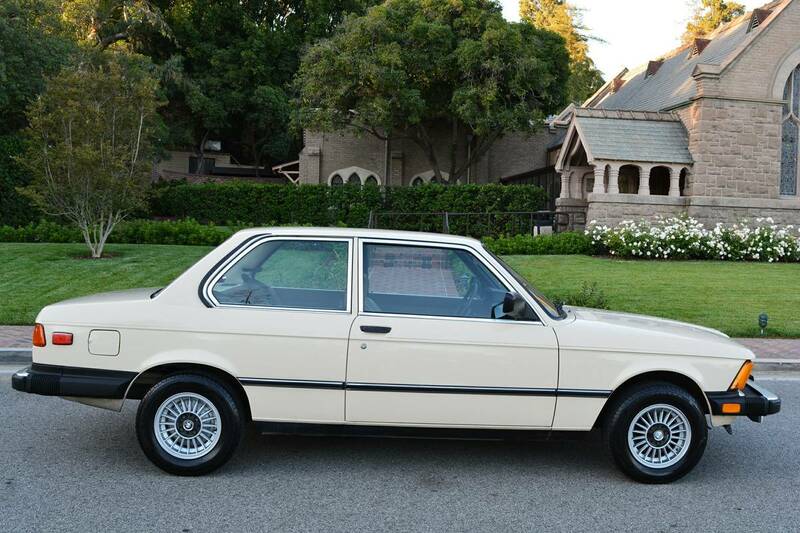 Find this 1981 BMW 320i offered for $8,000 near Los Angeles, CA via craigslist. The term creampuff is tossed around the internet like hashtags about fakenews (#FAKENEWZ), but today's E21 isn't just cream colored, it is also super puffy. And not in the bloated to the gills with frills and bells and whistles like a modern Orca-series, but this thing looks nice. This car is a non-sunroof example -- a huge plus if you are prone to sunburn, or loathe fixing borked sunroof mechanisms and rusty drip channels. The original 1.8 liter M10 fuel-injected inline-4 is good for 99 horsepower and 100 ft-lbs of torque -- not monster numbers by any yardstick, but will hit 60mph in 11.1 seconds on the way to a 105 mph top speed. It'll dust a contemporary VW Beetle in a drag race....but Saab 99s will give you a strong run for your money -- 99 Turbo versions will murder it. I owned one of these for a couple years. A 77 with the dreaded thermal reactor. It had no interior and I mounted Porsche 914 seats to the rear floor pans. I'm 6'5, so now I could fit in the car, legs fully stretched out to the pedals, driving like a go-cart. Best truly slow car to drive fast that I've ever owned. Hands down. Too bad it's a slicktop. We used to call these Iranian war wagons. After the Shah fell and all his wealthy minions fled to La Jolla in San Diego County, they were everywhere. The champagne flowed, the cocaine was ubiquitous and the E21's ran in packs. 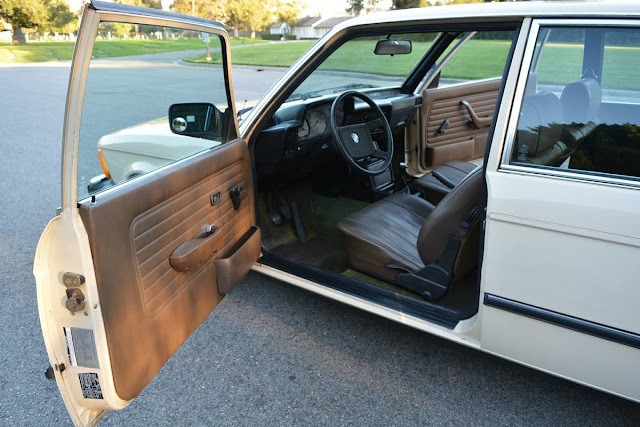 This was our family car in the 80s. My dads was chocolate brown with gold enkei wheels. I was just a kid but I pulled off his grill and painted it black. For his birthday I bought my dad an Alpine tape deck. I will always remember the cool aqua color of the buttons and the upright position of the radio in these cars. I think he ultimately put over 300,000 on the original drivetrain. I have always dreamed about building on of these with an s14 in it. Do they make repop euro bumpers for these? It would make such a big difference in the looks department.